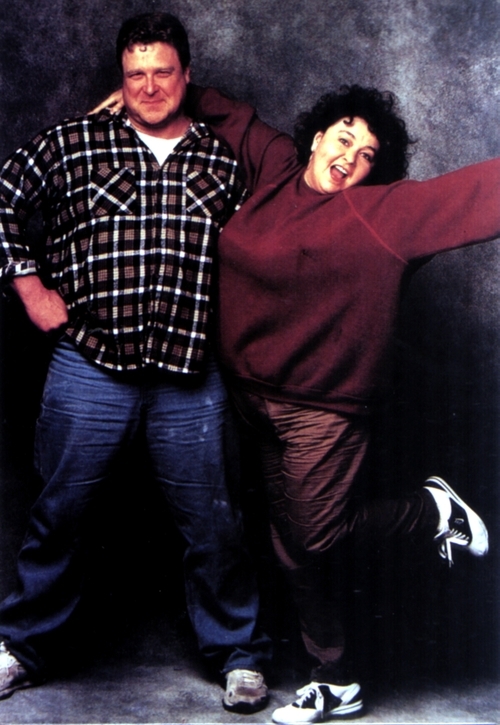 Roseanne & Dan. . HD Wallpaper and background images in the Roseanne club tagged: roseanne dan john goodman. This Roseanne photo contains kap and hood. There might also be tanda, poster, teks, papan tulis, switer lengan panjang, kaus, pakaian luar, overclothes, and pakaian.